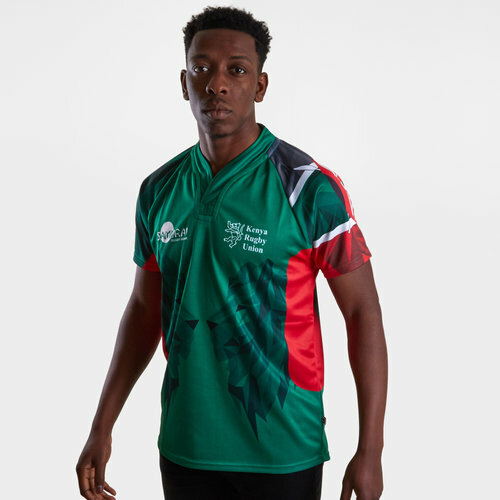 Be a supporter of one of the 15 "core teams" of the World Rugby 7s Series and of the Shujaa when you pull on this Kenya 7s 2019 Alternate S/S Replica Rugby Shirt from Samurai. 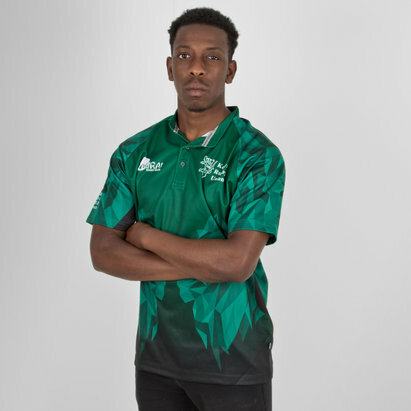 This shirt is predominantly green with red detailing and a sublimated design across the body and sleeves. The design is of a lion and is made up of triangle shapes. 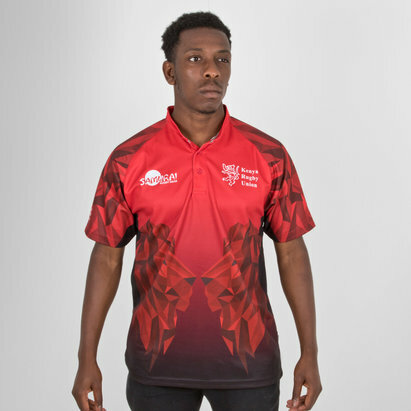 This design is also used on the sleeves. 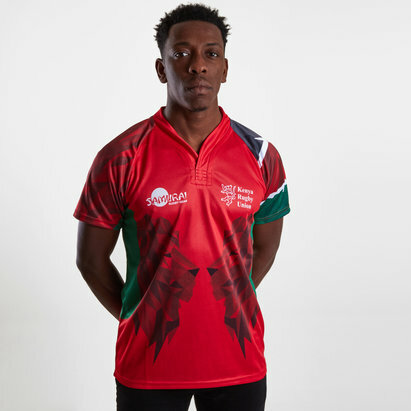 The Kenyan rugby union badge is on the left whilst the Samurai logo is on the right.